Synopsis . . . A young nurse is savagely killed during a pre-dawn run on Galveston’s seawall. The murderer slices her running shorts from her body as his trophy and tosses the body over the wall to the rocks below. As dawn breaks, a bedraggled street person, wearing four layers of old, tattered clothes, emerges from the end of the jetty, waving his arms and talking to people only he hears. He trips over the body, checks for a pulse and, instead, finds a diamond bracelet which he puts in his pocket. He hurries across the street, heading for breakfast at the Salvation Army two blocks away, leaving his footprints in blood as he goes. The Insanity Plea is a spell-binding tale of four amateur sleuths who must find, track and trap a serial killer as they prepare for and defend Wayne's brother who is trapped in a mind like that of John Nash, Russell Crowe’s character in A Beautiful Mind. My Review . . . The prosecution appears to have a rock solid murder case against Dan Little, a once brilliant attorney whose paranoid schizophrenia has turned him into an unstable Galveston street person estranged from his family. When his brother Wayne, also an attorney, agrees to represent him, the race is on to defend Dan by using an insanity plea--a complicated legal task in itself--and ultimately prove his innocence by finding the real killer. Can Dan be rescued from the ravages of his mental illness? Can his defense team chip away at the State's case, or will Dan be the fall guy for a crime he didn't commit? Can the real murderer, a serial killer, be stopped before striking again? Against seemingly insurmountable odds, Wayne and his circle of loyal friends and colleagues pull out all the stops to prevent a gross miscarriage of justice. The Insanity Plea is a taut legal thriller with intense action and courtroom drama. The fast-moving plot, compelling characters, and bold unexpected maneuvers make for a highly suspenseful read. In addition to delivering a gripping tale that keeps readers rapidly turning pages until the very end, author Larry Thompson infuses the story with interesting details about the history of Galveston. 6/06 ~ Review & Giveaway @ 3 Partners in Shopping, Nana, Mommy, & Sissy, Too! Disclaimer . . . 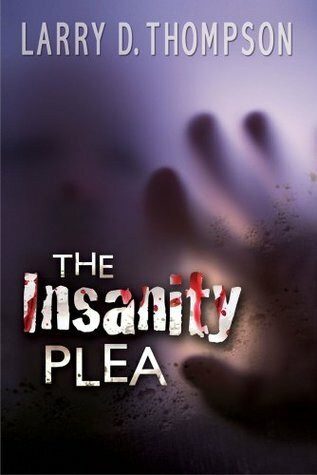 I was given a copy of The Insanity Plea in exchange for an honest review. Thursday Thoughts: PICT Blog Tour Book Review: The Insanity Plea was originally published by Catherine for bookclublibrarian.com. This post cannot be republished without attribution.